It's been a crazy busy/stressful week. Lots and lots of things going on. One thing that is going on is our 50 followers giveaway - which ends so very soon!! You have one more day to get your entries in. I can't wait to see who will be taking away this amazing deal. 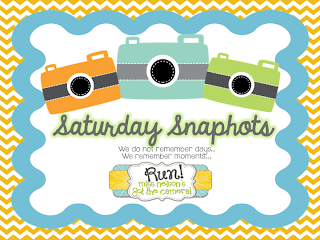 SO get your entries in and I will draw a winner when I link up for Saturday Snapshots!! Grab the button and link up below. When I wrote this I was sitting in Time Out. I wasn't in trouble, I was just manning the station! Haha!! No one came, so it was a chance for me to write up my to-do lists and get my head organised for the rest of the year! So much to do, so little time. So today my Sometimes I Wish... is this. Sometimes I wish that parents realised how important they are in their child's learning!!! I've heard it said that it's a triangle, with the teacher, the child, and the parents making up each side. And while that is true, I think that the parents make up the base of the triangle. Their involvement and support for what happens in class can ultimately be the reason why certain kids can do so well (and also so poorly) in school. 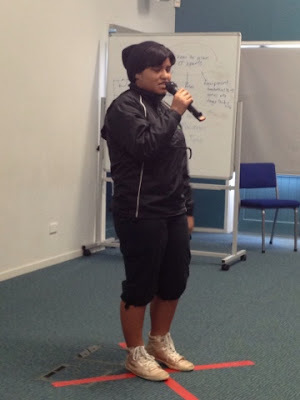 Mrs Z. talked about her experience with calling parents and the impact of behaviour her positive calls made in her post a few days ago called Whanaungatanga. Well the same goes in the opposite respect. When a family is really hard to get hold of it makes it really hard to keep the focus on learning. That goes for kids that are and aren't a behaviour problem. I wish that parent's realised that we actually need - and want - them to be involved. Not helicopter style, but still involved. Or maybe stressful... I stayed late at school tonight and talked with one of my friends, and the more I talked, the more stressed out I became!! I don't ever remember a time in the past 6 years of teaching that I have felt so overwhelmed. After staying late to get some things organised I'm feeling a bit better!! Here is a sneaky peek at my week! I meet with the year book club once a week during our "Nga Toi" (arts) time. We only have Nga Toi until the end of this week. With only 5 weeks til the Spring holidays I'm really worried that nothing is going to be ready by the end of the term! Not only that, but we have no Nga Toi in the last week, (we are going on a tiki tour around the classes in the school to show the kids the other learning spaces in the school.) 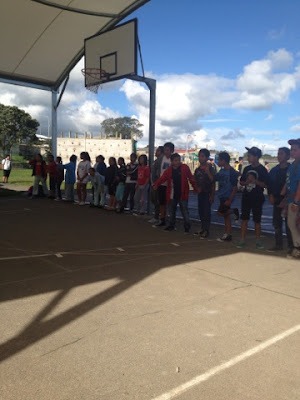 On top of that the Year 8 class has their camp in the week before that, and most of my group is made up of year 8's!! Which gives me 3 weeks left with them!! CAN YOU HEAR THE STRESS???! I'm moving house!! Which means I need to pack up my room and make sure I don't leave anything behind!! Thankfully I'm still flatting, so I don't have to move an entire house, but it's still a tad stressful!! I'm sure that after all that I will want to collapse into a heap and just sleep for a month, but I wont. Life will still go on! I will get there. My goal is to write my to-do list out while the kids are playing soccer tomorrow. I don't have to ref the games so I should get a chance at some point!! I hope your week is a little bit less busy - Tell us all about it over at Mrs Laffin's Laughings with her linky party - A peek at my week. I've gone away this weekend, and I'm typing this on the iPad so it probably won't work! I'm gonna give it a go in any case - and I apologise for any and all typos and autocorrects right now!!! Hopefully they want be too embarrassing and I pick them up when I get home tomorrow and edit them on out!! So as I said I've gone away for the weekend. I decided that it was about time to head south for the weekend to where I studied at teachers college and catch up with some friends. Today I have seen lots of old friends, seen two new houses, had more hot drinks than I normally drink in a whole week, and finished the day with a great game of canasta! Which my partner and I won by the way. So because of this, and because I'm on the iPad, I've decided to combine my five for Friday, and my Saturday snapshots into one post this week. (ipads are stupid and it wont let me type and ink whatI want so i will link up the photos later.) Okay I'm back and can now link everything up properly! After lunch at my friend Rachel's today her husband took me to meet their house guests. They have two very tame sheep grazing in their front paddock. These sheep were so cute, very fat, and super friendly!! If you want soft hands, get some lanolin cream! Seriously, my hands are still soft two days later!!! 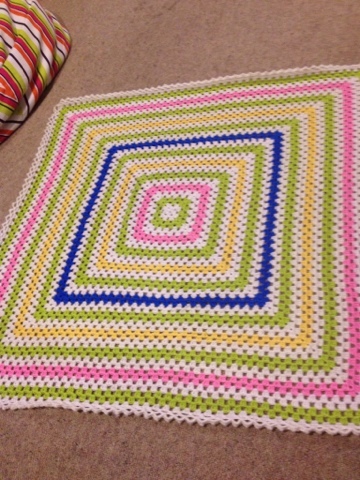 Well I managed to finish this beauty! Check it out!! 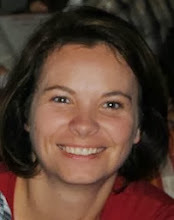 And my friend Rachel from just before, LOVED it!!! Now for something related to school. 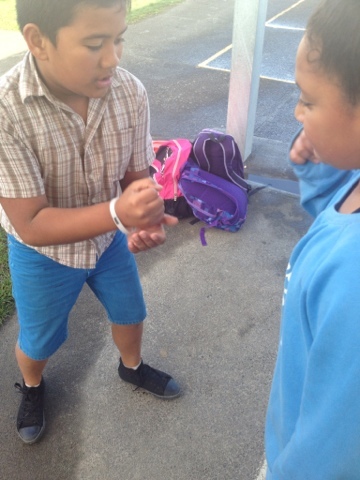 My kids love playing paper scissors rock. 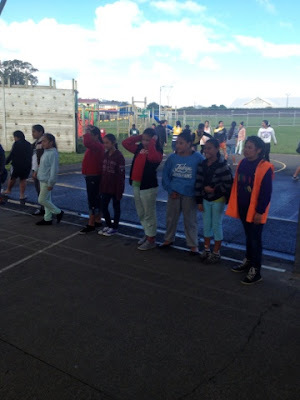 If we get everything done quickly in the afternoon, I will take them outside for the last 5 minutes of the day and we will play this before the bell goes. Basically what happens is this. Two teams stand in the corners of a court. One runner at a time from each team runs around the court until they meet up. 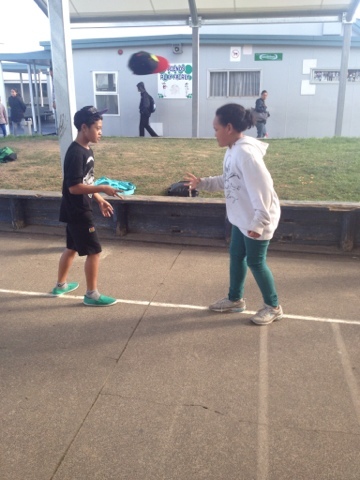 They battle it out and the winner carries on. The loser goes to the back of the line and the next runner comes out. A point is scored when a runner wins a duel within a predetermined area, usually about a metre from the starting point of the other team. So far the boys are up one point on the girls. Our kids are super stars!! This term our school has an X factor competition going on. I have been overwhelmed by the amount of pure talent that some of these kids have!! Some of our 7 and 8 year old have AMAZING voices, and there are some dancers who really know how to strut their stuff!! I have been lucky enough to be a judge for the senior students (years 5-8), and I just am finding it so hard to only pick 3 in each category!!! Last week we were aiming for 50 followers. This week we have passed that!! We now have a giveaway going on. Sorry to harp on about it, I am just so excited and I want to get as many entries in as possible!! You can earn easy entries by being a follower of The E-Z Class on bloglovin, Instagram, and Facebook. You can also earn some entries just by commenting below!! How easy is that!?! Who's knows, it could be you!! Entries close at the end of August. Go on, get in there!!! Plus here are a couple of pictures from the flight home!! I have about 300 things on my to-do list. And of those 300, at least half of them are important! So as a way of procrastinating, and also seeing if I'm the only one, I thought I'd blog today about the things I wish for! 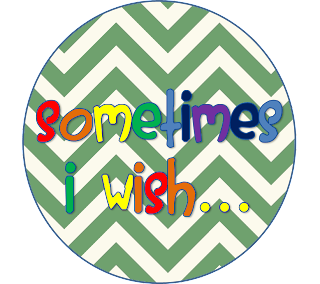 I'd love it if you would link up and tell me what your "Sometimes I wish..." moments are! Grab the button and link on up. So here are my "Sometimes I wish..." for today. 1. Sometimes I wish... that the time between the kids leaving, and me packing up for the day would last longer. I got into the habit of doing all my work at school in my first two years. I had more than enough non-contact time as a beginning teacher to get absolutely everything done! (The joys of working at a highschool as an intermediate teacher!!). As the last 5 years since have panned out, I've had more responsibilities, and far more creative ideas that I just can't get everything done. 2. Sometimes I wish... that I had the ability to teleport. Okay so this one is a bit weird, but seriously, my classroom is on the other side of the school from the office, and there is NO cover! When it rains, I get wet. It's not that I'm being lazy or anything, but it would be nice to stay dry going to get a cuppa at morning tea. 3. Sometimes I wish... that the school day was longer. Okay, so I'm probably the ONLY one who will ever say this, but with only 4.5 hours of actual class time a day, minus admin and other interruptions, I don't think I ever have enough time with my kids. Like I said, no one is going to agree with me though. I'm sure there are others, but I might save them for another time. 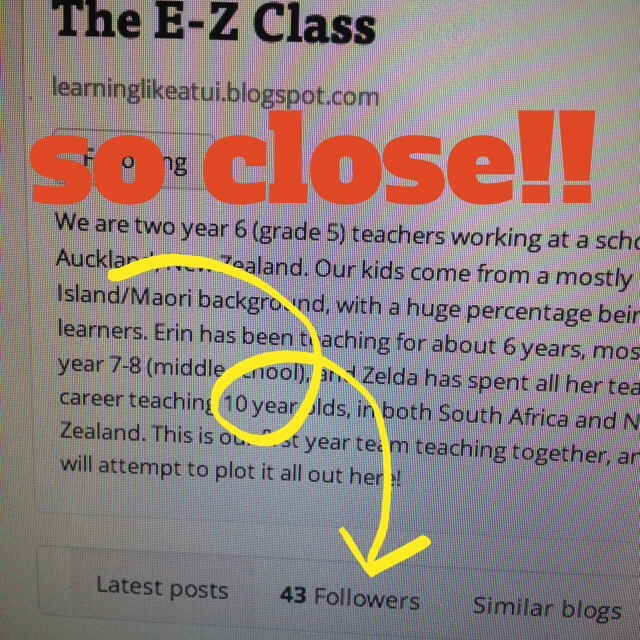 Remember to get your entries in for the New Zealand Goodies Giveaway! 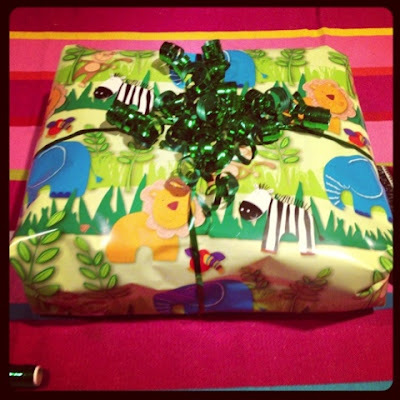 Chocolates, honey, and a coffee cup could be headed your way. You can now earn 5 more entries just by linking up to this post! Go on get it in, the draw closes on Saturday next week... NOT long to go. Thanks to Gary at Scrappy Guy for the background to the button, and Kevin and Amanda for my new favourite font - A Red Bucket. 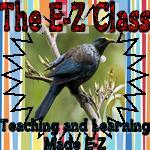 The E-Z class is chock-a-block FULL of different cultures. We (as teachers) love that our kids are so willing to share their identity with us. While it can be hard for children to accept differences in their peers, growing up with so many different cultures around them will make them better global citizens in the future!! Mrs Z has worked with the E-Z kids to create this amazing cultural display in her class. There are aspects of so many different cultures represented here, and it will continue to be added to as the year goes on! Thanks for stopping by!! Remember that we have an AMAZING giveaway going on at the moment. You could win a piece of New Zealand. I am SOOO incredibly excited to tell you that we have finally reached 50 followers!! WHICH MEANS the giveaway can begin!!! You can enter using the rafflecopter app below - and there are so many chances for you to enter!! The giveaway will run until the 31st August at midnight (New Zealand time) and there are ways you can enter every day, so make sure to come back! 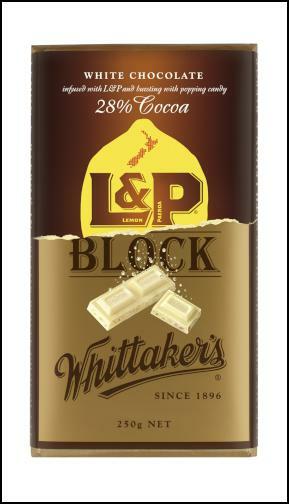 L 'n' P chocolate (L 'n' P is our favourite fizzy (soda) drink here in New Zealand. They have combined it with white chocolate to make a very interesting mix. Well what are you waiting for?! Get entering, and I can't wait to see who wins!! 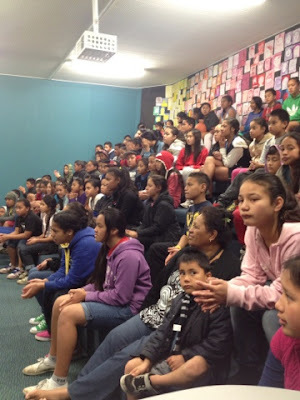 relationship, kinship, sense of family connection - a relationship through shared experiences and working together which provides people with a sense of belonging. It develops as a result of kinship rights and obligations, which also serve to strengthen each member of the kin group. It also extends to others to whom one develops a close familial, friendship or reciprocal relationship. 2. 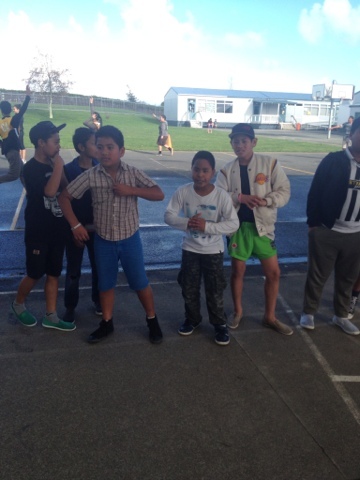 Another Māori student in our class, who has learning and behavior needs received the same positive phone calls throughout the year. Every time I call, her mother says:"What has she done this time." Only to find out that her daughter is working very hard at school and is making progress. In this week, she had a bad moment with another teacher at play time and was sent home for unacceptable behaviour. When I asked our secretary to call her parents to organise a meeting, she said: "you know they won't come, don't you?" Because they never came before for any of these meetings. Well, big was my surprise when I arrived at school the very next morning to find both parents waiting for me in the office. They couldn't thank me enough for helping their daughter this year. What have I learned? 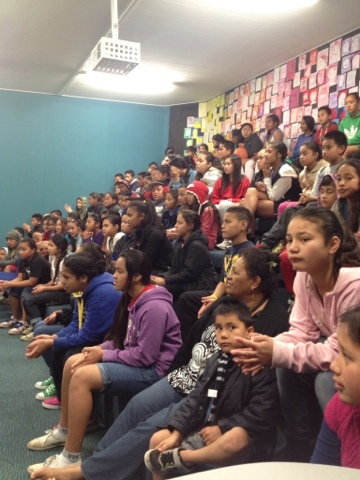 If you build a positive relationship with your students' whanau (family), it makes it so much easier to talk to them about those not-so-good moments. What will I do next year? Make more positive calls next year to ALL the students in my class. It's getting to the stage that it's not Sunday afternoon unless I've done my Saturday Snapshots with Miss Nelson!! There are some really yummy things in the "New Zealand Goodies" giveaway. There is also some Active Manuka Honey, which has an antibacterial property to it - which makes it an excellent B2S addition!! Just a teaspoon worth in a cup of tea, or lemon drink, or even on it's own is great!!! Finally you will also get a coffee cup to support the BEST sports team in the world! Well at rugby at least any way! Enough about that! Onto my snapshots. I'm gonna go BACK IN TIME today and share some oldies (And I mean REAL oldies!!!)! Me and my brother - NO we aren't twins, it was just the 80's! The first boat we owned as a family. We couldn't all fit in it at once! Christmas day - New puppy!! Mama and her girls! The baby in this photo is now 20!! My 6th birthday - The dollhouse was my present, and I still have it! She also loves going for a drive and sticking her head out the window. If a window is ever left down in the car, you can guarantee that Ollie will jump in! One more lot of shots. My brother is quite an aficionado when it comes to wine. 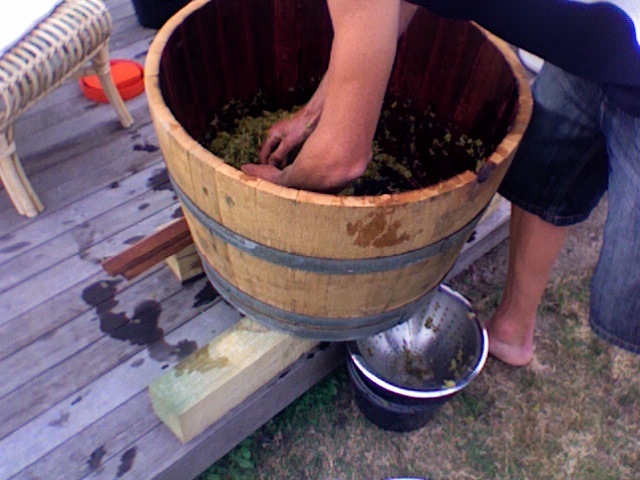 He studied viticulture at uni, and works for a wine shop now. A few years ago he tried making his own. It didn't work, but the process was fun!! So much fun, but SOOOO gross as well!!! SO that is my Saturday Snapshots! I can now get ready for school tomorrow! It's another busy week coming up!! Remember - The sooner we hit 50, the sooner you could WIN IT ALL!!! Last Chance to enter the giveaway!! A peek at my week - Now this sounds fun! We made it to 50 - let the giveaway begin!!! 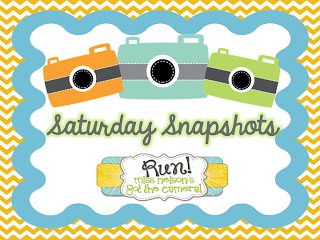 Saturday Snapshots and a yummy giveaway!! Well that was a dismal failure!